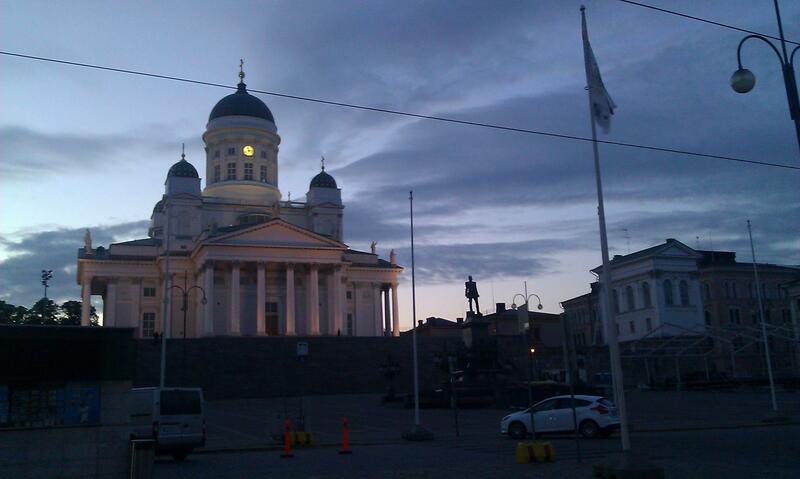 The Helsinki Cathedral, minutes before midnight. 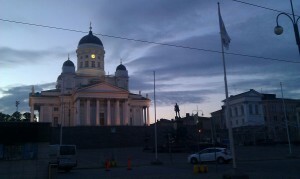 The CIDOC 2012: Enriching Cultural Heritage conference was held in Helsinki (the World Design Capital this year) on June 10-14. The conference is organized annually by CIDOC/ICOM, the International Committee for Documentation at the Internation Council of Museums. Last year the conference was held in Sibiu, Romania – a short post about it is available here. The reason why PSNC is interested in the works of CIDOC is that we have started using the CIDOC CRM model as the main ontology to organize metadata stored in a Semantic Web knowledge base we have built in the SYNAT project. The knowledge base contains information about resources of different type (currently: librariy, catalogue and museum), described with different metadata schemas. We needed adescription format to which we could map the existing heterogeneous records CIDOC CRM (Conceptual Reference Model) provides definitions and a formal structure for describing the implicit and explicit concepts and relationships used in cultural heritage documentation, so it was a natural choice. Also, there exist an OWL implementation of CIDOC CRM, very useful in the Semantic Web environment. While trying to map library metadata to CIDOC CRM we realized that the representation of books is more complicated than the representation of museum objects (even though, of course, museum can store books, and libraries can have old volumes that have historical value). You can find more information about this issue in the team’s publication list. item (a particular exemmplar from the set). During this CIDOC conference we presented our results: the description of mapping from MARC 21 and PLMET schemas to FRBRoo and the challenges related with this process. Obawiam się, że moja pamięć nie jest wystarczająco dobra, żeby napisać bardziej rozbudowane opracowanie ponad dwa miesiące po konferencji. Co najwyżej mogę poprawić się następnym razem, mogę także spróbować odpowiedzieć na wszelkie pytania. Większość czasu spędziłam na sesjach Co-operation & exchange oraz Semantic Web.